You have a bad night at home, and you replay the scene over and over while you drive to work the next morning. Or, something goes wrong on the job, and you ruminate on the misstep the rest of the day. If that sounds familiar, here’s good news: There is a way to retool your inner dialogue. Mayo Clinic resiliency expert Dr. Amit Sood says every new thought is an opportunity to become more optimistic. And, if you need some help getting positive, now he’s only a tweet away. 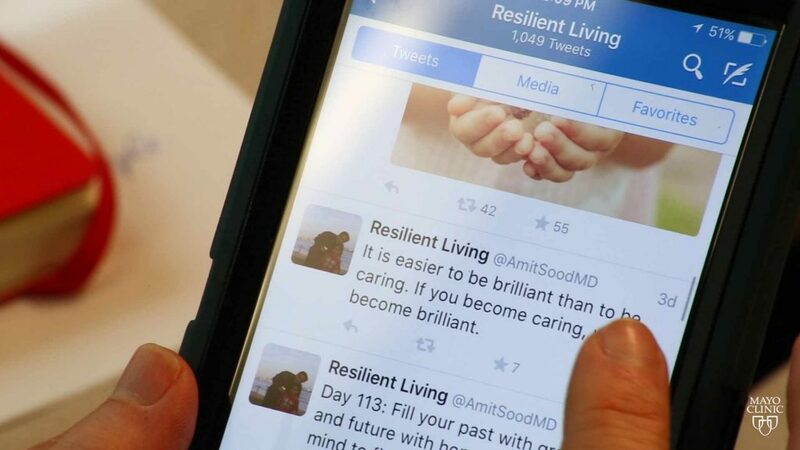 In this Mayo Clinic Minute, Jeff Olsen speaks with Dr. Sood about his yearlong Resilient Living Twitter project that’s using new technology to break old habits.